Have you ever wondered what the true Biblical End Times will look like? Where society has totally broken down and evil forces are at work, both worldwide and locally, to take control of what is left? Nuclear bombs smuggled into shipping containers have blown up several American port cities. Riots have broken out among the hungry survivors. Train tracks have been sabotaged to cause derailments, municipal water supplies have been poisoned, ground-to-air missiles have been smuggled into the country to shoot down passenger airplanes, crop-dusters have been used to spread disease in crowded cities, and electrical sub-stations have been attacked to shut down the electrical grid and make sure that anyone left alive is in the dark. In the face of all this death and destruction, most of the survivors foolishly try and prepare for a return to normalcy. Several Christian prepper families have converged upon an agreed-upon retreat location to try and survive what is clearly a final break-down of society, just as was predicted in the Bible. 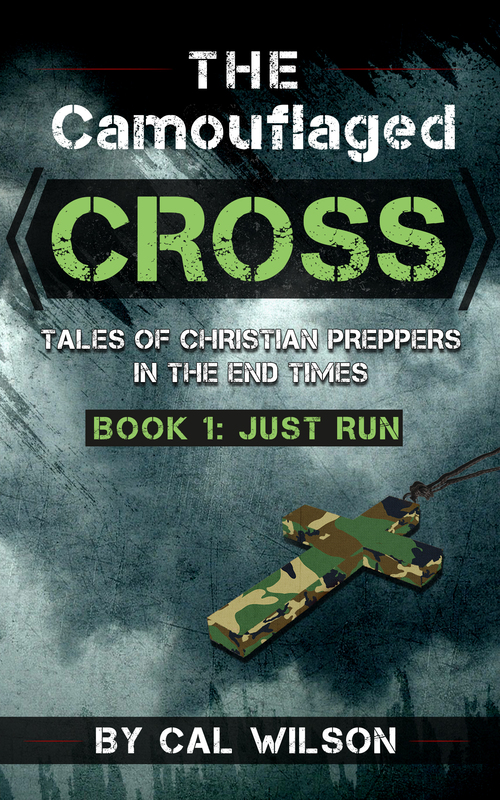 Join Jesse, his wife Mary, their daughter Melissa, and their prepper friends from church who have, after years of prepping and stockpiling supplies, are forced to go to their retreat location in hopes of fighting and surviving all of the multiple threats to come. The American president, who had been widely distrusted by the Christian community, was attending a conference in Jerusalem, to celebrate the mid-point of his much-heralded seven-year, universal peace treaty. Most other world leaders also attended. This treaty had succeeded in keeping world peace as never before. Even skeptics had been impressed with the peace kept by this treaty, engineered by the American president. The location of this conference, believed to be the location of Solomon’s Temple from biblical times, was chosen to emphasize the historical significance of the occasion. However, during the conference, nuclear bombs concealed inside shipping containers exploded simultaneously at several American east-coast port cities. For those who survived the nuclear bombs, full-scale rioting ensued, making the cities involved a vast wasteland of death and destruction. Fearing the same attacks, other port cities that had not been attacked halted all shipping operations, resulting in shortages of essential supplies and food. People in those cities also rioted. All the rioters in American port cities not only demanded a resumption of the shipments of food, but they also resented the fact that any semblance of privacy they had had was gone, ostensibly in order to protect against terrorist attacks like what just happened. Rational observers of the situation agreed that this was one of the few times when the frustrations of rioters, if not the actions, actually made sense. Government snooping of phone calls, e-mails, texts, computer hard-drives, credit card and online purchases, and all other aspects of life in America had produced no noticeable increase in security, as had been promised. Facial recognition cameras had even been set up in city centers, recording the identities and travelling of drivers and pedestrians through the cities. Yet, this end of privacy had still not halted the attacks. Soon after the nuclear explosions in the American port cities, terrorist sleeper cells inside the United States began operations in which they attacked electrical substations – those unprotected junctions of electrical power lines where the voltage in the lines is regulated for further movement into a nearby city – with machine guns in an attempt to cut off the power grid and all communications. At first, the nationwide coordinated attacks on power substations, dubbed “Metcalfing” after the location of the 2013 dry run, had scattered success. Nevertheless, several major American cities still had power.